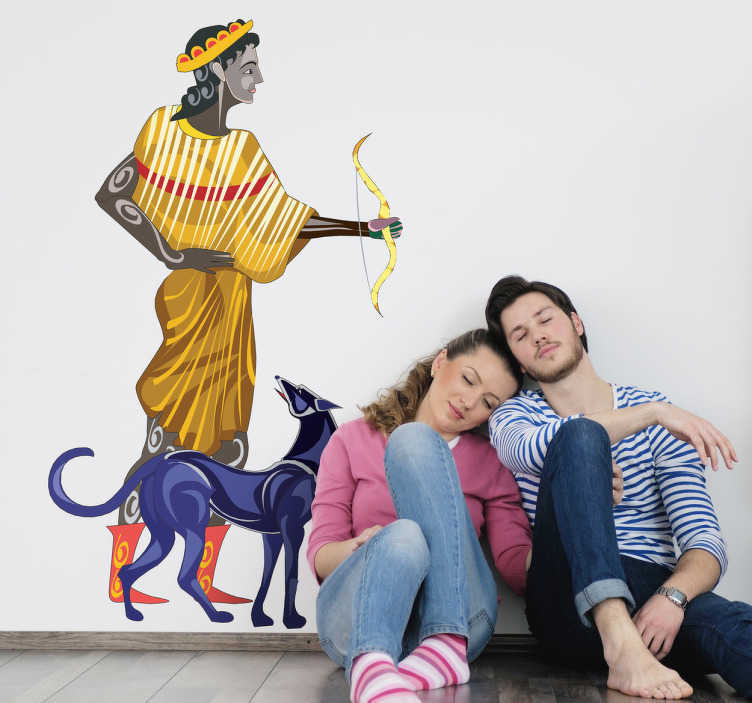 A wall sticker depicting the Greek Goddess Artemis. Patron of the hunt and wild animals, as well as the protector of young girls, she is often depicted carrying her signature bow and arrows next to her faithful hunting dog. A beautiful wall decoration for anywhere in the homes of Greek mythology fans, this vinyl sticker can be placed on any surface and comes in various sizes for you to select from.